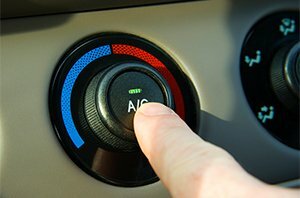 Having trouble with your Heater or Air Conditioner in your vehicle? At Fisher’s Auto Service, we specialize in repairing all types of heater and AC repairs and services for your car or truck. Through best-in-class service and word-of-mouth, we have built ourselves a name for reliable and affordable service. From diagnosis to repair, we supervise every step of the process to ensure the highest standard of service. If you suspect you may have a problem with your cooling or heating system, trust us to take care of the problem fast, at a price you can afford. If you live and drive in Kirkland, you know a working air conditioner in your car on hot summer days is a must. You turn on the heater in your car enough times in a year that you need it to be working properly. Did you know that by postponing or ignoring your car air conditioning repair, you might actually be damaging other parts of your car, which could lead to a greater repairs down the road. To prevent this long-term damage, the time to get your air conditioning repair work done is at the first signs of damage. Fisher’s Auto Service has been a trusted source for transmission repair in Kirkland since 1979. The reason is because your transmission is one of the most complicated parts of your car or truck and has to operate under some very tough conditions. We are the transmission repair specialists that are trusted not only by other mechanics but our customers love us too. Give us a call at (425) 823-4441, and we will be happy to speak with you about your transmission repair needs. 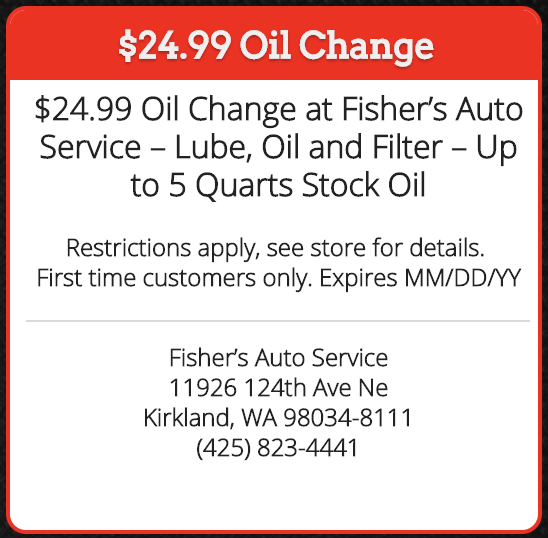 Fisher’s Auto Service has been your Kirkland Auto Air Conditioning Expert for over 30 years! Fisher’s Auto Service technicians know all there is to know about air conditioning, conversions, installations, radiators, AC parts and anything related. Fisher’s Auto Service hires only ASE Certified and Master mechanics and uses nothing but high quality parts for transmission repairs in Kirkland. We’ve been in business since 1979–a true testament to our honest and genuine work. Your safety depends on the mechanical condition of your vehicle. That’s why we make it our #1 priority to provide you exceptional service, ASE-certified technicians with many years of experience, the highest quality parts, and our own guarantee you’ll be satisfied with your AC repair in Kirkland. For a high-performing vehicle, trust Fisher’s Auto Service with your car, truck, or van. To learn more about the auto repair services we offer, please contact us by phone at (425) 823-4441 or schedule an appointment today. We also invite you to learn more about our dedication to you, our valued customer. Come see us for any of your auto repair needs at 11926 124th Ave, Ne Kirkland, Wa 98034.